Your child's bed will be soft and cozy with this Waverly Baby by Trend Lab Pom Pom Play Chevron Crib Sheet. 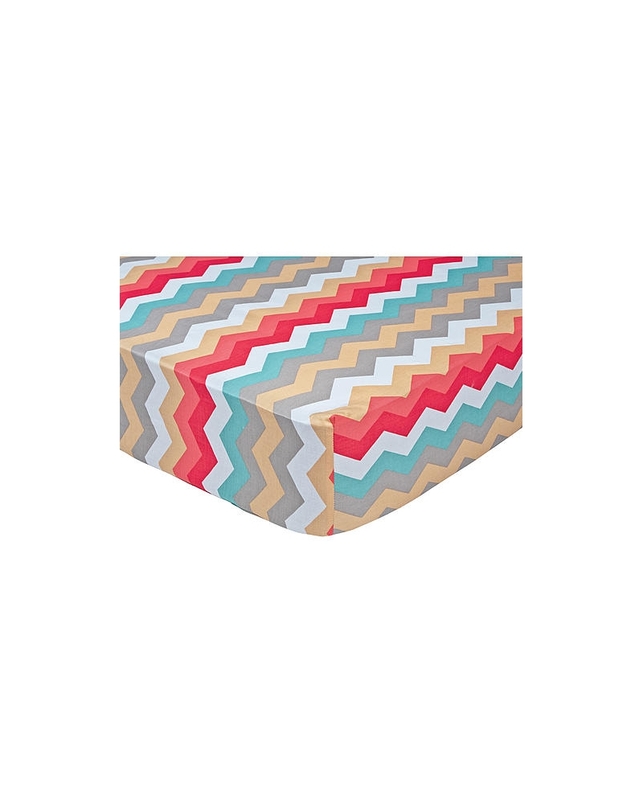 Sheet is made from a soft 100% cotton Panama Wave chevron print in a peachtini color palette which highlights coral, teal, gray and taffy. Crib Sheet features 8 inch deep pockets and elastic around the entire opening which ensures a more secure fit on a 28 in x 52 in standard crib mattress. 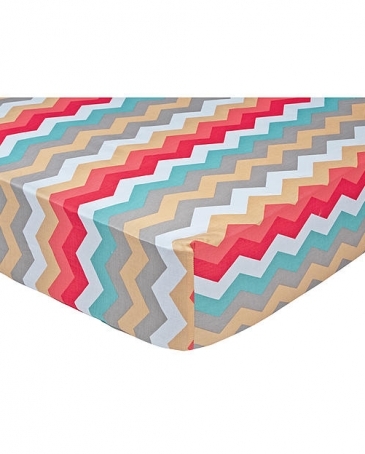 Sheet coordinates with Trend Lab's Waverly Baby Pom Pom Play collection. Coordinating Waverly Baby room accessories and gift items by Trend Lab are sold separately.